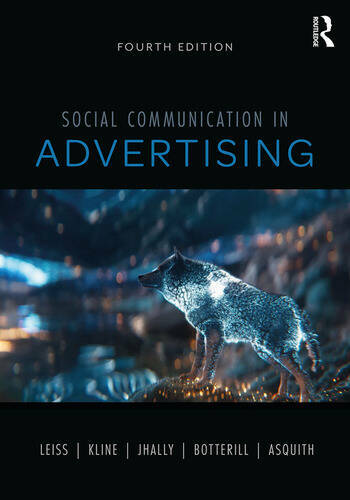 Newly updated for the digital era, this classic textbook provides a comprehensive historical study of advertising and its function within contemporary society by tracing advertising's influence throughout different media and cultural periods, from early magazines through to social media. With several new chapters on the rise of the Internet, mobile, and social media, this fourth edition offers new insights into the role of Google, Facebook, Snapchat, and YouTube as both media and advertising companies, as well as examining the role of brand culture in the 21st century. William Leiss is Professor Emeritus at Queen's University (Ontario) and research associate, McLaughlin Centre, University of Ottawa, Canada. Stephen Kline is Professor Emeritus in the School of Communication at Simon Fraser University, Canada. Sut Jhally is Professor of Communication at the University of Massachusetts and founder and Executive Director of the Media Education Foundation. Jacqueline Botterill is an Associate Professor in Communication at Brock University where she teaches and researches in the areas of promotional and consumer culture. Kyle Asquith is an Assistant Professor in the department of Communication, Media and Film at the University of Windsor, Canada.